Washington, March 20: The US government has ordered a review of the way Boeing's 737 Max aircraft got its licence to fly. It comes after two crashes in five months, amid suggestions from experts that there were "clear similarities" between the disasters, the BBC reported on Tuesday. Transport Secretary Elaine Chao has asked the US Inspector General to audit the aircraft's certification process. One focus of crash investigators has been the Max's anti-stall system, which Boeing says needs a software update. Boeing 737 Max 8 Aircraft Banned or Grounded in 50 Countries, Including US, Company Supports Action. In a memo to Inspector General Calvin Scovel, Chao said she wanted the review in order to "assist the Federal Aviation Administration (the regulator) in ensuring that its safety procedures are implemented effectively". 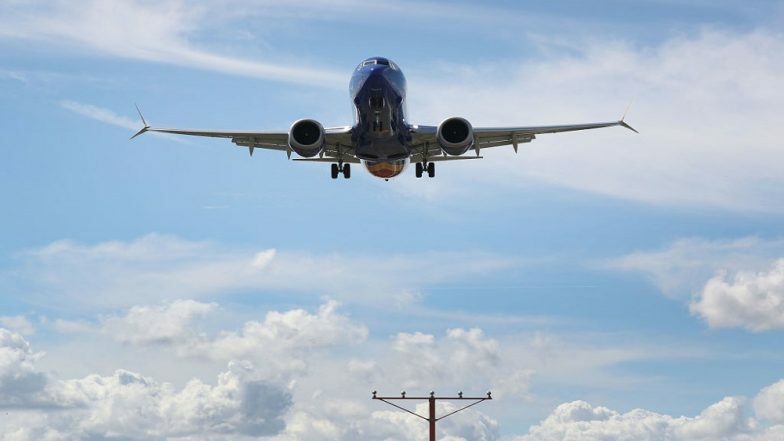 According to reports, the US Justice Department has also begun preliminary inquiries into the FAA's oversight of the Boeing aircraft. Meanwhile, Europe and Canada said they would seek their own assurances over the safety of the aircraft, a move likely to complicate plans to get the aircraft flying again across the world. European and Canadian regulators have typically tended to follow the FAA's lead. The European Union's aviation safety agency EASA promised its own deep look at any design improvements.